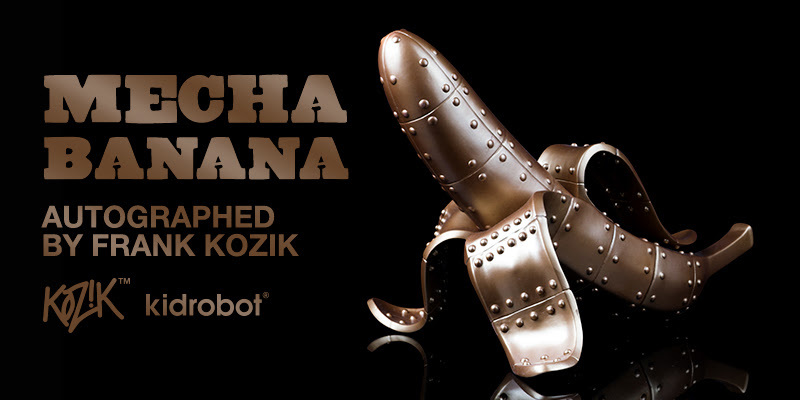 Make it a KOZIK KRistmas this year with these vinyl Mecha Banana Art Figures signed by Frank Kozik. We have pulled a handful of these pieces from the vault and had Frank sign each of them to make a few collectors extra jolly this holiday season. There is a few of the Glow in the Dark version, Black version and Bronze. These are all large vinyl figures and approximately 18 inches long. 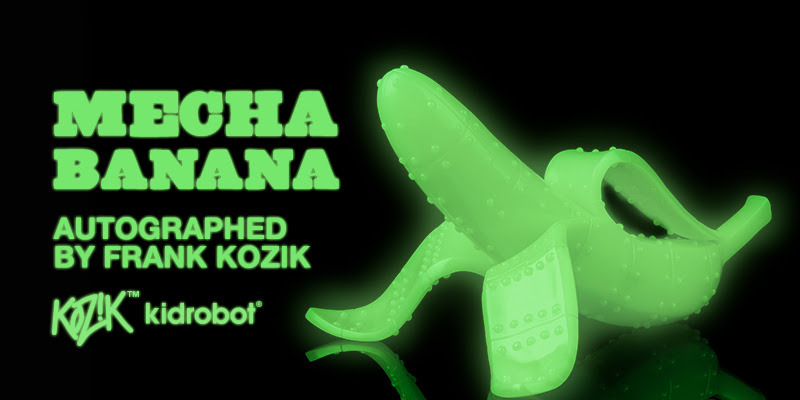 Get one of these autographed pieces today at Kidrobot.com. Uncle Frank striking a pose! 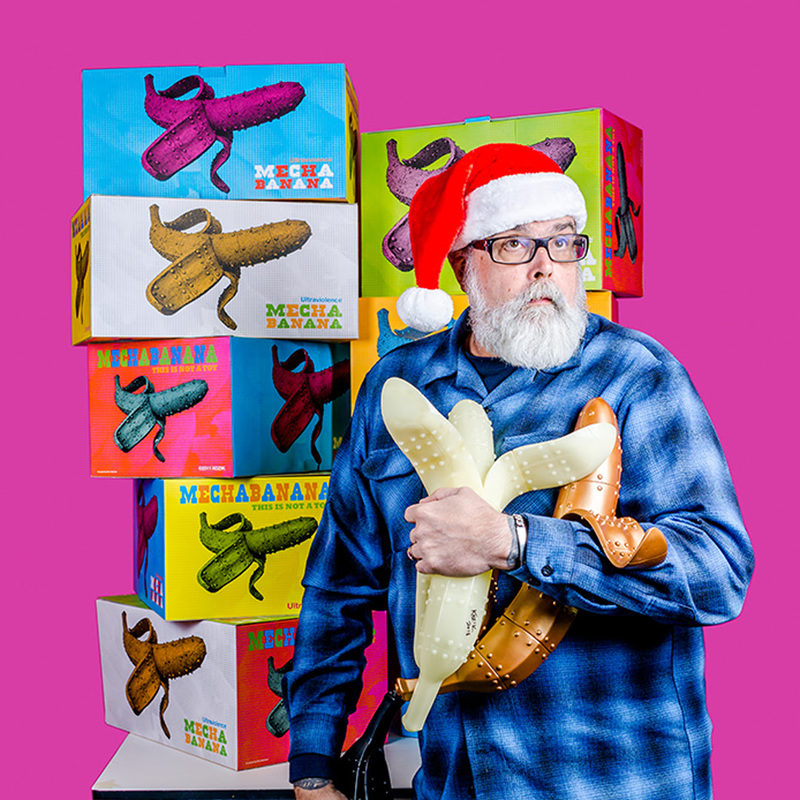 Frank Kozik is an American graphic artist best known for his posters for alternative rock bands, pop art, vinyl toys and the Labbit. 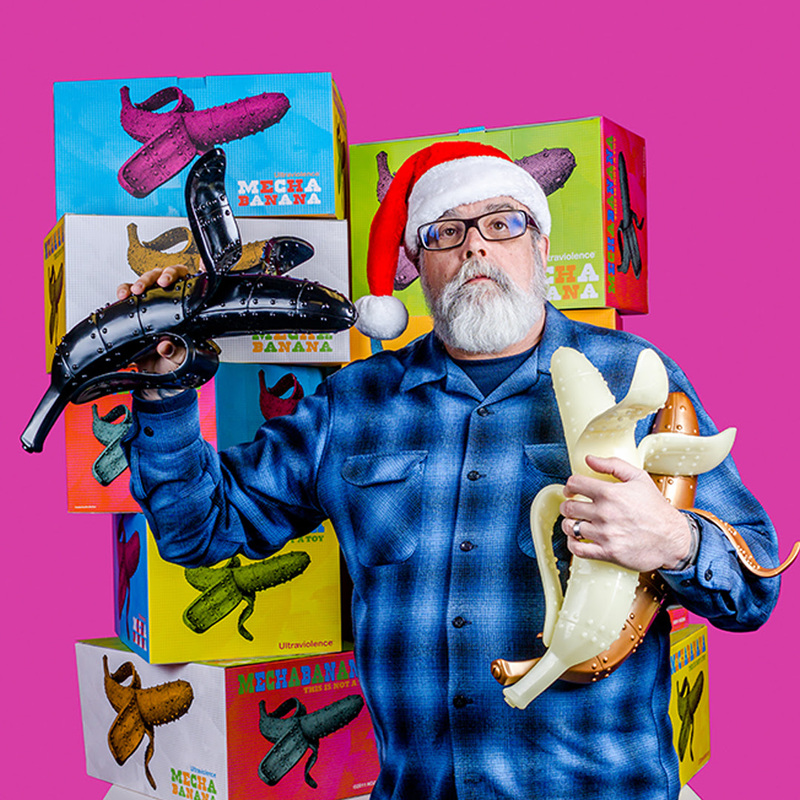 Kidrobot worked with Frank on various projects throughout the years and in 2014 Frank Kozik joined Kidrobot as the Chief Creative Officer. Love Frank? Browse our collection of art toys and collectibles by Frank Kozik at Kidrobot.com.